200 passengers board a Boeing 777 in New York, bound for London. 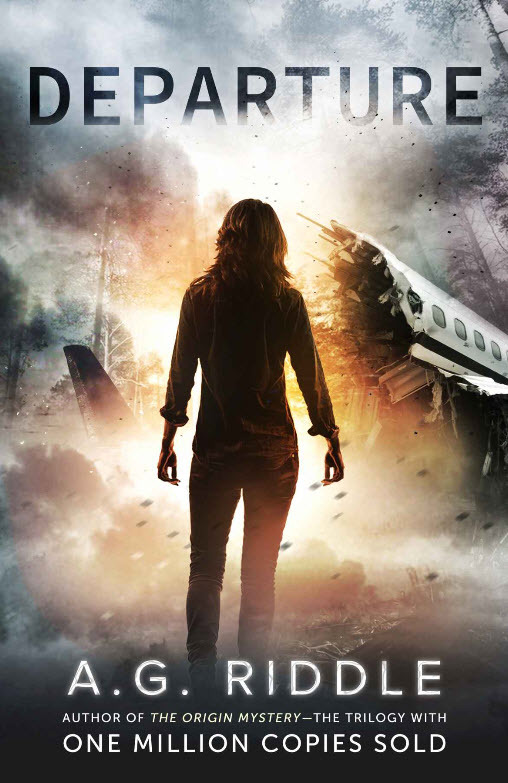 The plane crashes in the woods somewhere in England. Nick Stone has the presence of mind and courage of spirit to get right to work helping his fellow survivors rescue as many of the victims who didn’t die. Harper Lane is a young British writer who finds herself in the middle of the rescue, against her better judgment. Sabrina Schröder is a German research physician and the only doctor on board, with plenty to do patching up the injured passengers with not much more than a first aid kit and very little medicine. Yul Tan is a Chinese-American computer scientist who is on the cusp on inventing the next generation of the Internet. 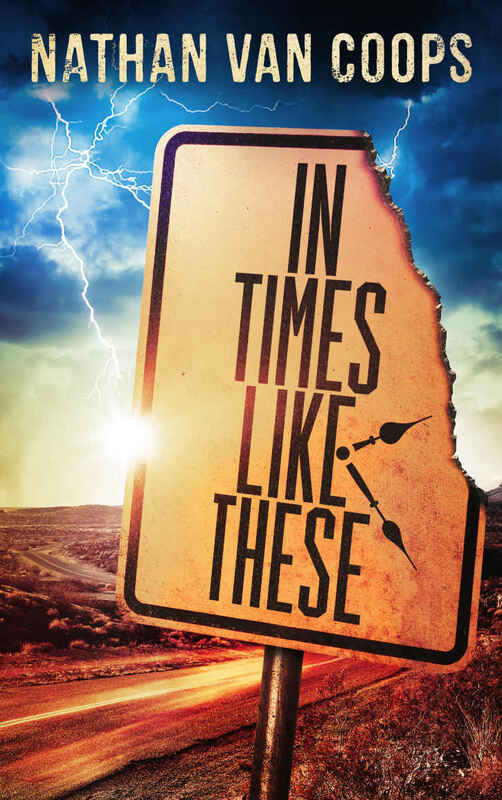 When days go by and no rescue crews show up, these four unlikely protagonists quickly discover that the world they landed in is not quite right. As they slowly unravel what happened to them, they are thrown into a conflict much larger than they could possibly have dreamed. Departure is an “accidental time travel” story, meticulously plotted and told in the first person by Harper and Nick, alternating, in journal-style. To make it even more unusual, the story is told in the present tense. This gives the action intense urgency and realism. After recently reading a few amateurish novels that lacked editing, this was refreshing. Not a grammar error to be found, not a word missing or misspelled anywhere to distract me. I have to say, however, that while the first third of the book was a page turner, the rest of the book, with perhaps the exception on the last 5%, was too contrived for me. There was lots of action, lots of intricate story development and plot, sometimes to the point where it was hard to follow. I must admit there were sections when I just skimmed and turned the pages to make it through those boring – or rather – overdeveloped parts so I could get on with it. Overall, Departure was a fun, quick read, and it helped that it was about time travel. John Campbell is a college professor of archeology. He lives alone, is disenchanted with his life and does not have much respect for most of his students. One of his pastimes is treasure hunting at yard sales and flea markets. He finds an old desk for fifty dollars. When he takes it home to clean it up, he finds some locked drawers and compartments that he can only access by taking the desk apart. It turns out, the desk used to belong to Nikolai Tesla, one of the geniuses of the 19th century. It contains many notebooks, designs and a handheld device that turns out to be a time machine. The curiosity of the archeologist leads Campbell to visit ancient Rome first, but he also ventures to colonial America during the time of the revolution, and to Germany during the Nazi period. He discovers that a Nazi named Hans Richter also has a time machine, and he seems to have dedicated himself to changing world history so the result is that the United States of America never exist and the Nazis ended up undefeated in World War II. Campbell decides to make it his mission to stop Richter. 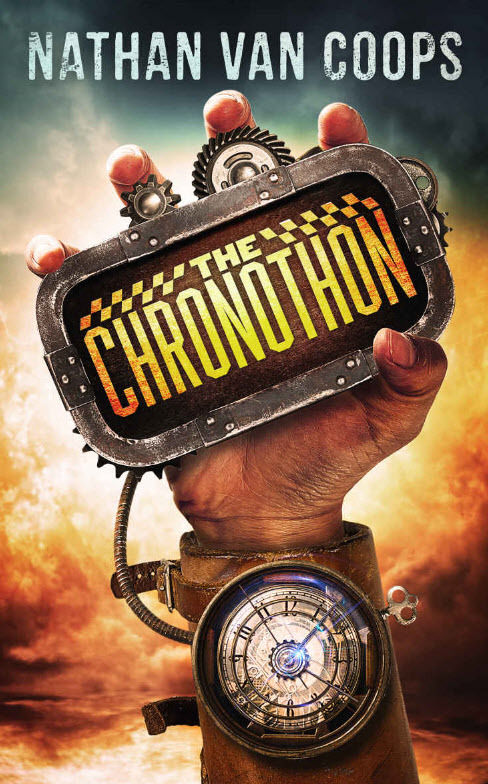 I love time travel stories, and this one is based on an interesting premise and a fairly exciting plot. This kept me turning the pages. I wanted to know how it would all end. The characters are not credible. The author seems to know very little about archeology. I don’t understand why he made the protagonist an archeologist. He could have been a car mechanic, a hairdresser, or a computer programmer. He is just not credible as an archeologist. Also, I could never accept that Campbell is able to speak fluent ancient Greek and Latin within just a few days of acclimating. In general, the main characters are all shallow cardboard figures doing things that don’t seem real or even possible. The grammar, punctuation, sentence structure and spelling are atrocious. It feels like there isn’t a page where there isn’t something wrong. The author does not seem to know the difference between “threw” and “through,” “there” and “their,” “your” and “you’re,” and many other such pairs. Many sentences have missing words and sometimes the structure is so jumbled, it’s impossible to figure out what he author is trying to say. He also has trouble with plurals. For instance, he keeps writing “Nazi’s” to indicate more than one of them. The whole book reads like a hastily written first draft. The author obviously never proof-read his own book, and he didn’t bother to ask anyone else. It does not take an expensive professional editor to find 95% of the errors. The book has some 200 pages, and I believe I could easily find 200 corrections in a casual read. With another couple of days of reading and editing his own work he could have made a huge difference in the quality of the book. As it is, the errors are distracting from the story. I only paid 99 cents for the book on Amazon, but I still feel cheated. I expected a finished work, not a first draft. 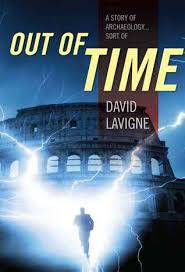 Overall, Out of Time is a neat idea for a story, but it’s so poorly done, it’s distracting. The book is simply not finished. I don’t think I’ll read any more LaVigne novels. I am going on a time trip. I need to borrow some weapon, though. Does somebody have any weapons I could use for a minute? No matter how long I’ll be engaged down-time, I will return exactly one minute after I leave, so we could arrange that you come to my place with the weapons. You give me the weapons, you just wait for a minute until I come back from my time trip, and I’ll give you the weapons right back. But first I need to write to this guy in Prince George, BC. Soon, the time traveler would face the necessity of his own death. The pace never lets up. 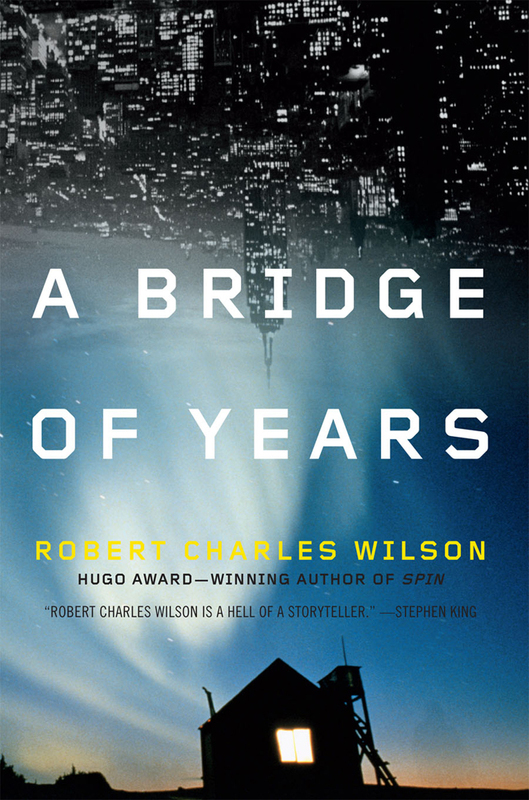 A Bridge of Years is the story of a few characters, each of them down on his luck, who come together in a house on Post Road in Belltower in 1989, to face a dangerous nemesis from the future, with no place to hide and a lot to lose. Most of the action occurs in 1989, likely because Robert Charles Wilson published the book in 1991. That was his present. But the story spans from 1962, to 1979, and then 1989, into the middle of the 21st century and it speculates on through the eons of human evolution. 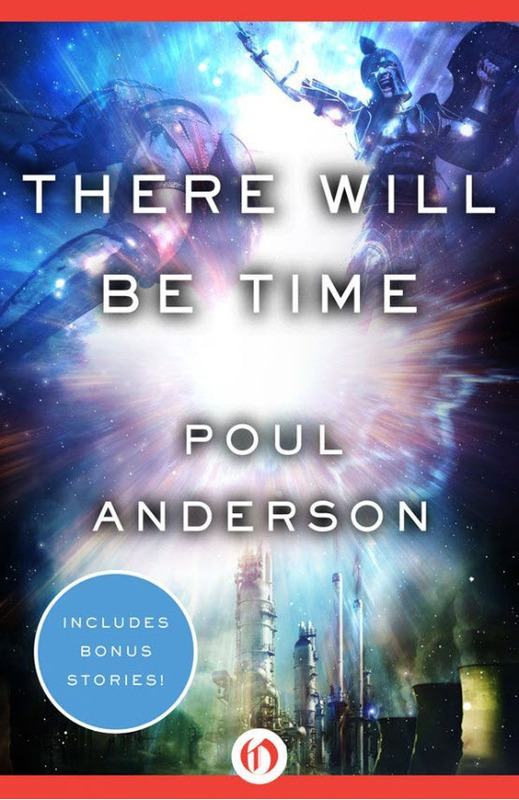 This is not just a book about time travel, but rather, time travel is the essence of the entire story and the plot. Time travel is the fabric of the structure of the novel itself. It’s one of the better ones of the genre, and I think I need to check out this author some more. Joel Smith is a 21-year-old college student from Seattle, on a trip with a friend visiting Yellowstone in May of 2000. On the way back, outside Helena, Montana, he decides on a whim to explore an abandoned gold mine. While his impatient buddy waits at the car, he enters the mine, finds a mysteriously glowing cavern, sees a rattle snake, drops his flashlight and as he withdraws he bumps his head and passes out. When he comes to, he walks back out of the mine and finds a different world. He soon figures out that it is May 1941. His cell phone is useless, his 2000 vintage money is funny-money, and his clothes are definitely wrong for the period. He rides a freight train from Helena to Seattle and soon starts a new life. In his circle of friends he even meets his own grandmother as a young college girl. Eventually he falls in love with a girl named Grace, who is engaged to another man. He does not know if his trip was one-way. But he does know his sports trivia, which enables him to gamble and win money. He also knows that on December 7, 1941, the Japanese would attack Pearl Harbor and the lives of Americans would change drastically. Joel is careful not to change the past and history, since it might affect his own existence, particularly when he is hanging around with his own grandmother. 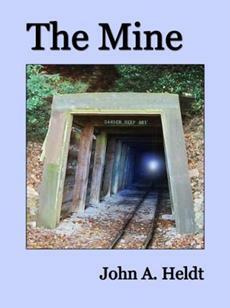 The Mine is a romance novel. The author spends a lot of time weaving the web of the complex social lives of a group of 1941 college kids that Joel finds himself surrounded by. Those college kids have relationships, they fall in love, and in lust, and things don’t always end up clean. The book is very well narrated, containing just the right amount of dialog versus exposition, and it moves along at a good, steady pace. The only distractions I noticed were the frequent use of trite clichés. For instance, Joel never just put on jeans. He always “threw on a pair of jeans.” Joel’s 2000 girlfriend Jana “was as good as it got.” Road signs were “small potatoes.” The author used these types of hackneyed expressions often enough that I found it distracting. Also, Joel was a bit too much of a superman. Landing in 1941, he becomes a crack furniture salesman overnight. He seems to have a photographic memory of sports trivia and statistics. He is super good-looking so all the girls are attracted to him at first sight. He is a great fist fighter. And he is very sensitive and a great friend to everyone. He falls madly in love with Grace, but when it becomes time to leave her, it seems to not be a very difficult decision. All through the story, Joel is somewhat too good to be true. Overall, The Mine is a very entertaining story, a well told and expertly paced time travel tale with a romantic twist, or perhaps more aptly: romance with a time travel twist. I read this book immediately after Book One, convinced by a twist at the end. Book Two was a different experience than Book One. Jack was back in 1856, and his task was preventing the Civil War. Again he met with many of the luminaries of the period. There were battle scenes, with Jack right in the middle of them. The bad guys were really evil, Nazi style, with human experiments and torture. Through a network of spies and thugs, they stole industrial secrets, kidnapped people, and killed whenever it suited their need. Interestingly, the bad guys were also the Southerners, versus the Yankees, trying to hold on to their system of slavery pre-Civil War. I felt that this one, like Book One, was also written somewhat awkwardly, the writing style showing some signs of immaturity. The writer often told us what was happening, rather than showing us. This means that the book could have been longer, more elaborate, and probably more enjoyable, with better dialog and better exposition. For instance, Frances Sanger, the second most important character in the story, was a young woman who was, we think, infatuated with Jack. But the way she acted throughout the story simply didn’t make much sense. She was portrayed as very bright, helping her father and uncle in the family business, buying real estate for stores all over the country, as far away from Virginia as Chicago and New York. So she should have been an experienced traveler, negotiator and executive. However, when she saw Jack with a young girl in a restaurant, she freaked out and acted like a junior high school girl, running to her daddy and crying about it. Frances Sanger, due to behavior like this example, just didn’t appear to me as a rounded, real person, but as an accessory to move a plot along. And the plot, finally, was what kept me reading. I loved the story, and I particularly loved the ending. I would tell the reluctant reader to keep slogging through the first 90% of the book because the last 10% make it worthwhile and now I am waiting for the third book in the series. This brings me to my final complaint: The time change books are, apparently, a trilogy. I think this story would work better as one consolidated book, be it a thousand pages, if necessary. 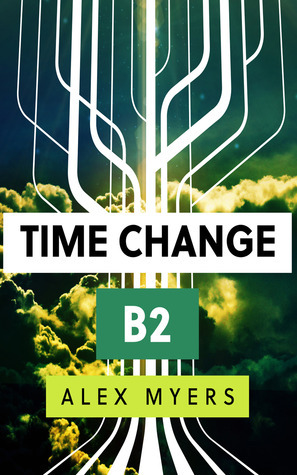 Time Change – Book Two, as I describe it here does not stand alone. I don’t think a reader could make much sense of it, let along like it and the plot, without reading Book One first. This disconnect between a series of books is much stronger here than in other similar works, like for instance those of S.M. Stirling, where the stories build on previous books, but each book can be read on its own. All said and done – I am now waiting for Time Change – Book Three. Bones of the Earth is a science fiction and time travel story, where the time travel is fundamentally central to the plot. 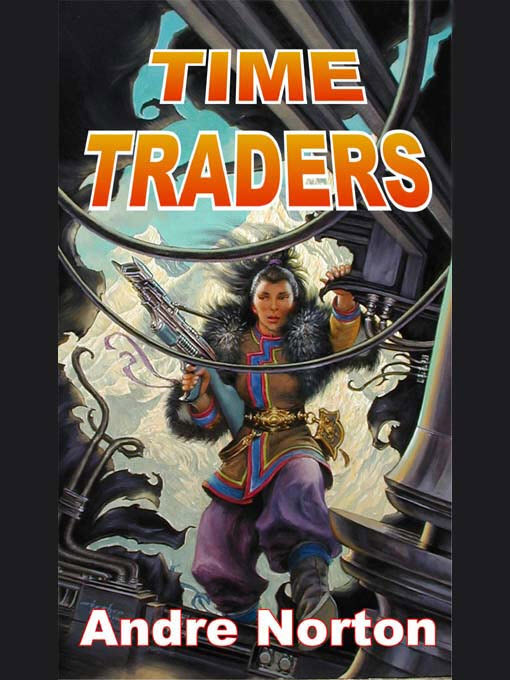 Being a time travel story buff, I was surprised that it took me so long to discover this book; it came out 2002. The protagonist is a paleontologist who gets an offer to travel to the distant past to study dinosaurs in the flesh. Time travel is a gift from non-humans (we only find out later in the book from whom exactly) and is provided to humanity only with certain strings attached, the main one being: humans are understandably not allowed to create time paradoxes. Just because it’s not allowed does not mean it does not happen, and as a result, things get complicated very quickly. 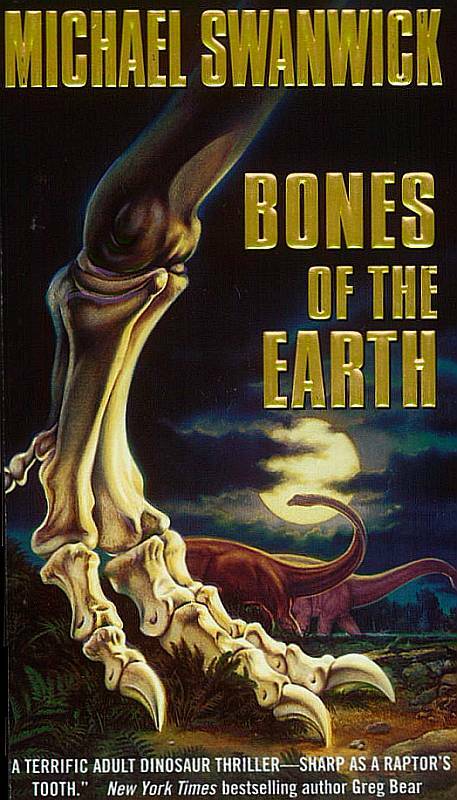 Bones of the Earth is a page-turner from the first page on, mostly due to the subject matter. I very much enjoyed reading about researchers being able to study dinosaur behavior first-hand, like in Jurassic Park. I don’t know if Swanwick is a scientist himself, but he seems to know a lot about science in general and paleontology specifically. Either he is an expert himself (which I could not ascertain from the information about him available online) or he has excellent sources and he did great research. The problem with this book is that I could simply not follow the plot. Not only does the point of view of the novel shift around, the time shifts, and the causality shifts constantly, due to time travel. So something happening in 2034 is the cause of a result occurring 100 million years in the past or 100 million years in the future. I found myself getting lost quite often, and I simply trusted the writer to keep things straight, even though I could not follow it all the time. I would have to read the book again, and draw a plot diagram just to keep it straight – the writer must have done that himself. Confusing or not, this book is the most time traveling book of all time traveling books. In romance novels, men always wrap women into their strong arms. When lovers undress each other, they kiss every inch of flesh as they do it. A man’s hair is often unkempt. Lips are burning. Bodies are vulnerable. I suffocated his mouth with my burning lips. He wanted no more movement from my vulnerable body. I was to remain powerless. No hint of speed lay in his temptations. My suitor’s sensuous snare of his captive was slow, measured, and calculated for mutual pleasure. One by one he undid my stockings from their garters, rolled them down my thighs, then tossed them to the floor. I could hear my heart pounding and feel my temperature skyrocketing. What possesses me to read this stuff? I could feel my temperature skyrocketing??? That’s what romance novels are like. I picked this one up some time ago because it had a central plot of time travel. The time travel in this novel, at first, seems like a contrived plot twist only to send the heroine from the current time of 1997 back to 1897 into the Victorian era in upstate New York. 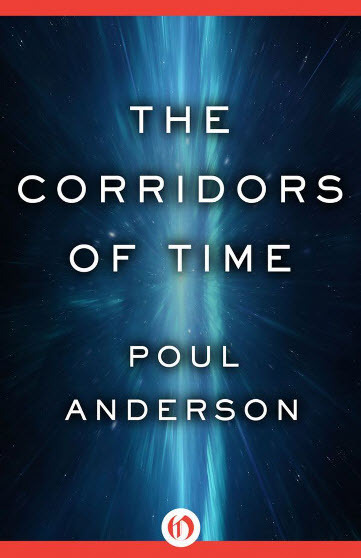 But as the story rolls on, the time travel aspect actually becomes more intricate and once I was about halfway through the book of 414 pages, I kept turning the pages with interest and suspense. Let me get this straight – I did kind of fast forward through the romance slush – that did nothing for me. However, the descriptions of the locales, in and around Cooperstown, New York and Otsego County were excellent. I always felt like I was right there with the characters. It was a well-woven plot with a satisfying central time travel theme. Gertrude Johnson lives in Brooklyn, New York in 1997. She is 28 years old and a famous romance novelist. To get away from the hustle, her agent sends her to a cabin in upstate New York by Cooperstown for the summer. One night she falls asleep in her cabin, only to wake up at 2:00am with a strange man in bed. The two are baffled. They quickly discover that she is now in 1897 and must cope with the fact that she is in a strange world with nothing but a flowery nightgown and her memories. The two hit it off. Gertrude’s love life is about to change. I read this as a hardcopy book, published by Time Travelers LLC in 2000. There were a surprising number of editorial errors, from misspellings of words, to faulty grammar and punctuation, to beginner’s errors like wrong plurals. For instance, the plural of session is sessions, not “session’s.” Things like that just should not happen, and especially not to the degree they happen in this book. 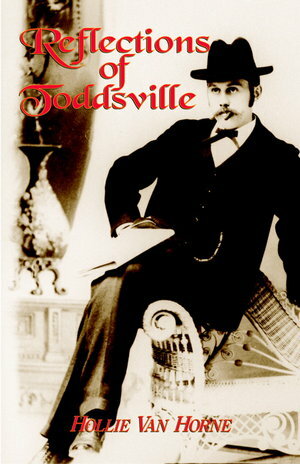 I enjoyed Reflections of Toddsville, but I won’t read any more books of Hollie Van Horne. It’s 2044 somewhere in America. Time travel has not yet been invented, but it will be by 2074. As soon as it’s invented it is made illegal. As with all prohibition, once something is illegal, it’s only accessible through crime and the mob. Gangsters in 2074 are as unimaginative as they are today, and the best use of an amazing technology like time travel they can come up with is disposal of enemies of the mob. It appears that time travel is unidirectional; you can only go backwards. It also appears that you can only do it once. Once you are in the past, you are stuck there. Joe (Joseph Gordon-Levitt) is a time traveler, who came from 2074, sent by the bad guys to 2044. He is called a looper. When the time comes, he drives an old pickup track out to the fields, spreads a plastic dropcloth and watches for the exact time for the stiff to arrive. The victim is sent back with a hood over his face. This way, neither the victim knows what’s happening, nor does the killer know the identity of the victim. At the predetermined time, out of thin air, the victim materializes. Joe stands there, shotgun aimed, and a split second after the victim appears he is killed and soon disposed of in an incinerator. When Joe reaches that age, he is Old Joe (Bruce Willis). Sure enough, one day Old Joe get gets rounded up by the mob and sent back in time. There is a scene when Joe sits in a diner with Old Joe having a conversation about their shared life. As you might expect, things start getting very complicated. 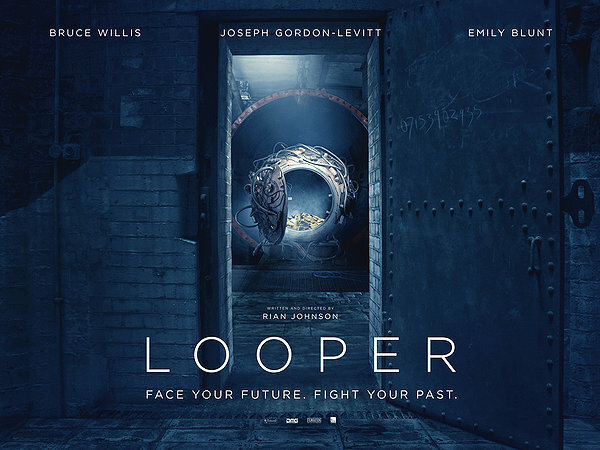 Looper is a meticulously plotted time travel movie, which does not get caught up in the paradoxes of time travel, but uses them to build the story. 2044 (and 2074) is a wasteland, not much distinguishable from urban slums of today, except for the occasional strange machines like floating motorcycles. I enjoyed the movie, except for the endless and graphic violence. There was a lot of shooting going on, and the guns in this movie are LOUD. It’s a movie where just about all the characters are killers and therefore shooters. Of course, there are a lot of loose ends, like why does Joe after looping, as he grows into Old Joe, not ever meet up with Young Joe before he looped? They were both there togther in the future world, and the growing Old Joe would have known about young boy Joe. But that’s outside of the plot of this movie – I just can’t help myself. Oh, and I forgot to mention the TKs, or telekinesists, who can move objects with their minds and use that amazing skill to pick up chicks by floating quarters in bars. Another time travel story, this time set in New York City. Finney published this book in 1970, so the present is pre-personal computers, although the first moon-landing had already occurred. The New York City of Finney’s present time is one I recognize at the New York City of my own youth. His story, of course, does not reference the twin towers of the World Trade Center, since they were not completed until 1973. Similar to the way Christopher Reeve traveled back in time in the 1980 movie “Somewhere in Time” by setting up an exact surrounding and setting his mind to the target time using hypnotic techniques, Si Morley, the protagonist of this story manages to travel back to New York of January 1882. Central to the story is also “The Dakota,” an apartment building on the west border of Central Park. Interestingly, the Dakota is today an exclusive apartment home. In 1980, John Lennon lived there when he was murdered outside of the front door. This is another fact that Finney could not have referenced, of course. This is a different time travel story, insofar as there is no time machine at all, no technology to make it all happen. We get an in-depth view of life in New York in 1882, with some shocking imagery of poverty, brutally hard work, and the endless struggle to put food on the table, by the vast armies of the poor, as well as the privileged few in upper society. For instance, a “driver” of a bus was a person that stood on the front platform of a wagon drawn by a team of horses. The passengers are in the bus, shielded somewhat from the elements. But the poor driver is outside, 14 hours a day, standing, driving horses, earning $1.90 a day. Time and Again is full of descriptions of life in the 19th century in New York City, in rich detail, enough, you’d think, that you could time-travel there yourself.